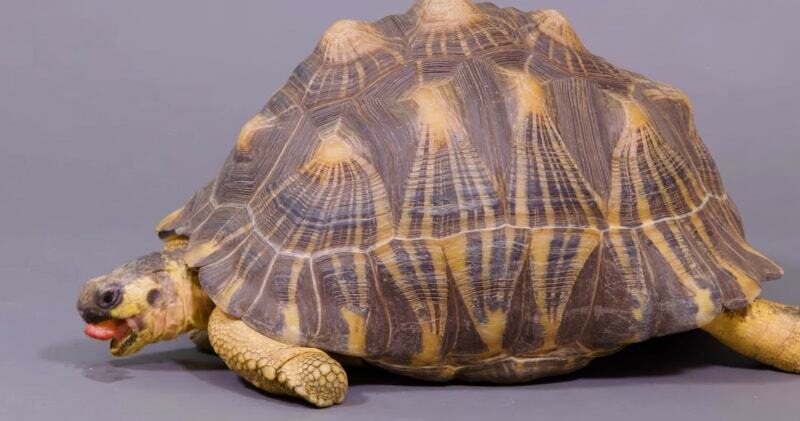 The radiated tortoise (Astrochelys radiata) is a species in the family Testudinidae.Endemic to the dry southern forests of Madagascar, the radiated tortoise has an incredibly long lifespan—the oldest tortoise on record reached an estimated 188 years of age. They boast highly intricate, dome-shaped shells lined with blood vessels, making them sensitive to the touch. Due to hunting and the illegal pet trade, the species has seen a 50 percent decrease in their population over the past decade. It is estimated that a staggering quarter of a million radiated tortoises are harvested each year.Because of these constant threats, conservationists have estimated that these tortoises could go extinct in less than 20 years.